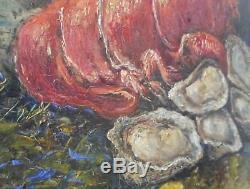 Lobster, oysters, lemons with bottle. 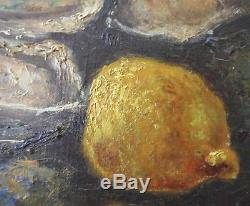 Oil on wood panel, (isorel), (see photo 9). 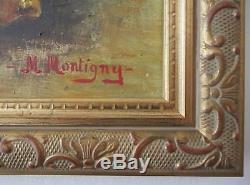 Signed lower right: "m montigny". 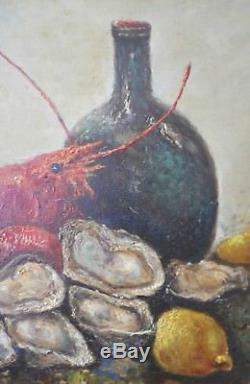 Beautiful composition well "massée\And to the luminous impastings. 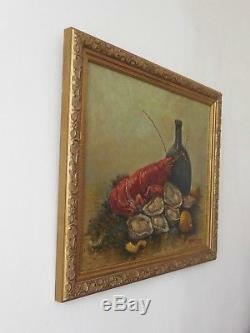 Sold in a molded and gilded frame. 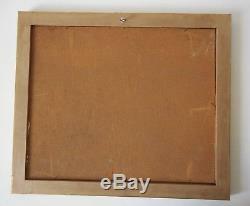 With the frame = 53 cm x 45.3 cm. State: tiny wear, no restoration to predict. 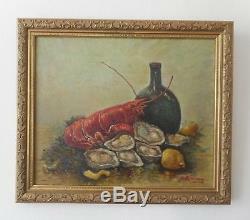 The item "still life, lobster, oysters and lemons, H.
SP (isorel), framed, circa 1950" is on sale since Wednesday, March 14, 2018. 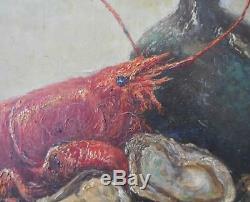 It is in the category "art, antiques \ art of the twentieth, contemporary \ paintings. " 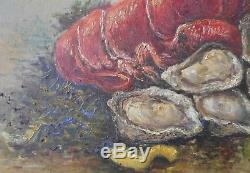 The seller is "crea5070" and is located in / in blois. This item can be shipped to the following countries: france, united kingdom, germany, switzerland, italy, spain, netherlands, belgium.